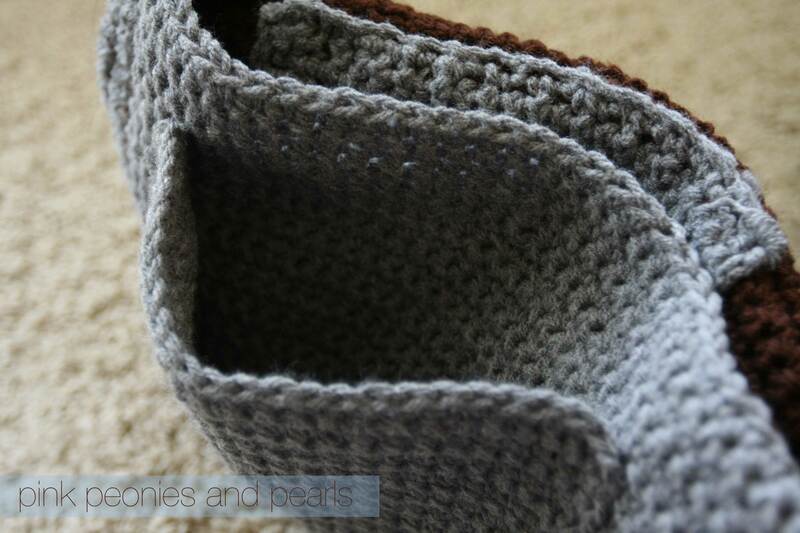 I finally finished an entire project using a written crochet pattern. Admittedly, it is a simple pattern. 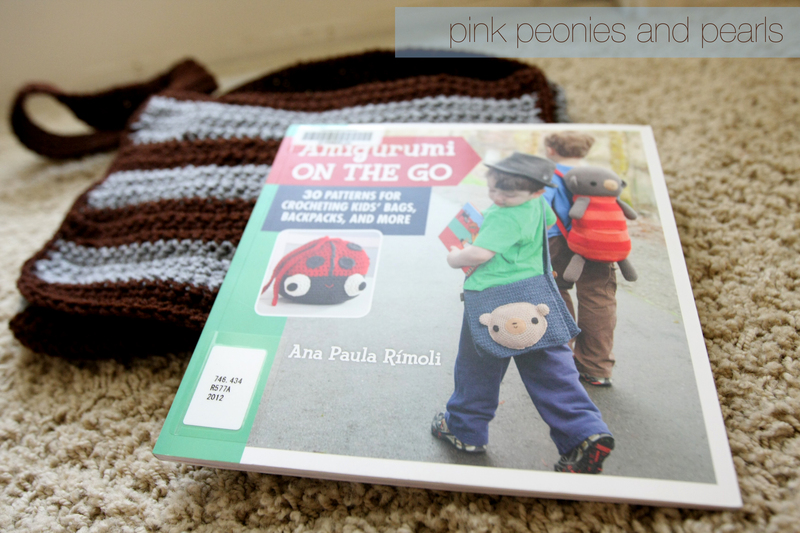 I found this book at the Dallas Public Library this week called Amigurumi On the Go by Ana Paula Rimoli. I absolutely had to try to make the adorable messenger bag on the front cover! The patterns in the book are for toddler and child size projects. I had every intention of making Barry (my two-year-old nephew) the Bear Bag in Blue from page 46 in the book. However, as soon as I realized how I could personalize this bag without adding the crochet bear appliqué, I wanted to make one for Sean, too. Sean is seven. He is a very small (BUT MIGHTY) seven-year-old. It is perfect for his size right now. I don’t expect the boys to keep the bags in perfect shape, but would hope they have use for awhile. 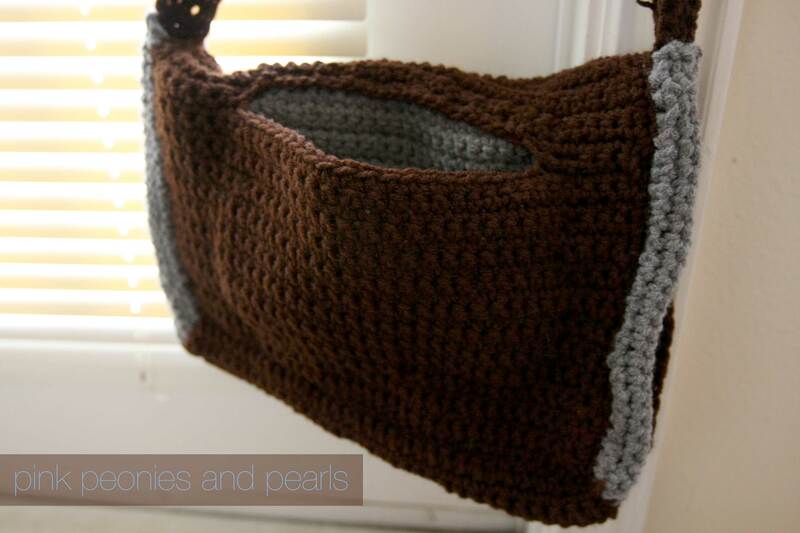 This crochet pattern makes for a durable messenger bag that could hold crayons, coloring books and a few tiny toys. It is not made for a heavy duty trip to the public library, but could carry a few small books. It has and inside and outside pocket. 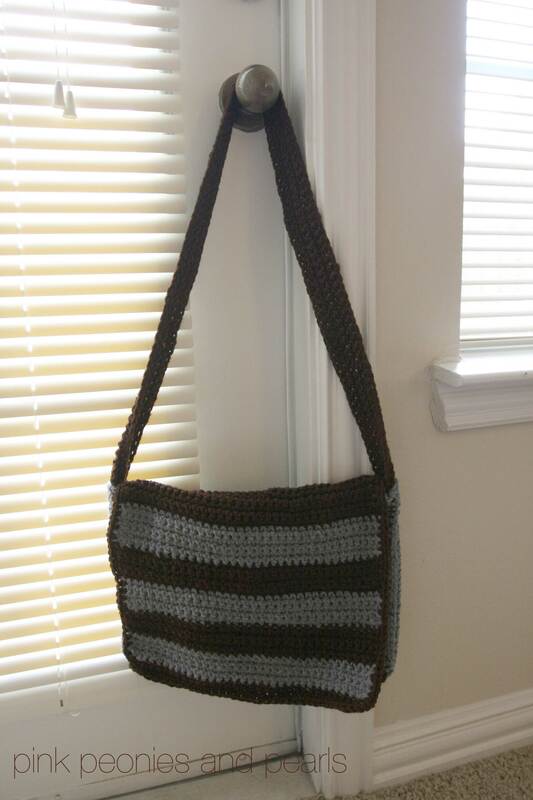 I used a gray and brown yarn instead of one single color.